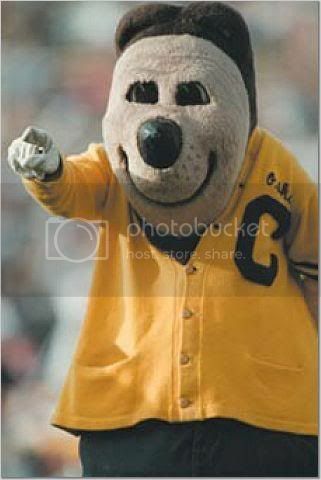 I became an earnest Cal football fan in 1978, in the days of Rich Campbell and John Tuggle. Wanting to learn more about Bears history and CFB in general, I bugged my parents to buy me a glossy encyclopedia book that happened to include photos of all the Kodak All-America teams. There was Chuck Muncie, Steve Rivera - I knew their names. And then there was an enormous defensive tackle named Sherman White, who made the 1971 team. Who was Sherman White? He was big enough to excel at defensive tackle, but quick enough to start at defensive end for 11 years in the NFL with the Cincinnati Bengals and Buffalo Bills. He came to Berkeley after a year at Laney JC in 1969 and immediately cracked the starting lineup as a sophomore. He played his best against Stanford, including an interception return for touchdown in the 29-28 near-miss loss in 1969 and a dominating effort in 1970's 22-14 upset of the Rose Bowl-bound Indians. He was twice voted first-team all Pac 8, and was a consensus choice as All-America in 1971. And he's #23 on the 50 Greatest Golden Bears list. That's who Sherman White is. 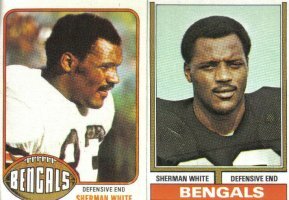 Looks like he also had a career with the Bengals, as the number 2 overall draft pick in 1972. He did indeed (noted in the 1st bullet). A great player. He achieved the goal that just the best players of NCAA deserve, to play professionally in the NFL.